Oh my, how fun, the Occasions catalog goes live tomorrow!!!! 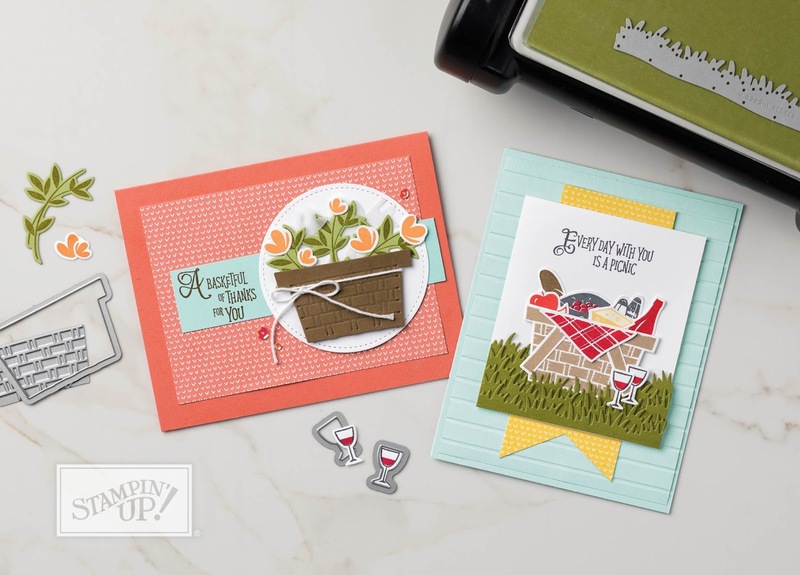 And here are some samples using a sweet bundle called Picnic With You. I can't wait to get this bundle and start playing!!! The entire catalog is full of wonderful new product and possibilities!! available FREE for every $100 you spend! I can't say enough about how fun it is getting something for free!! Remember, come back tomorrow so you can start shopping!! Those are adorable. With it as cold as it is, can't imagine flowers yet, hehe.